Many things happened to celebrate World Toilet Day, from the ridiculous to the sublime. But one of the most meaningful bits of the day for me was being there for University College London's opening of their Eco Loo to launch the UCLoo festival, which will be running for the next two weeks. ... concern about the global sanitation crisis still focuses almost exclusively on what is happening ‘out there’ in the Global South, in Southeast Asia, India, and Africa. What about the Global North, which relies on systems that have not been seriously revisited for 150 years? 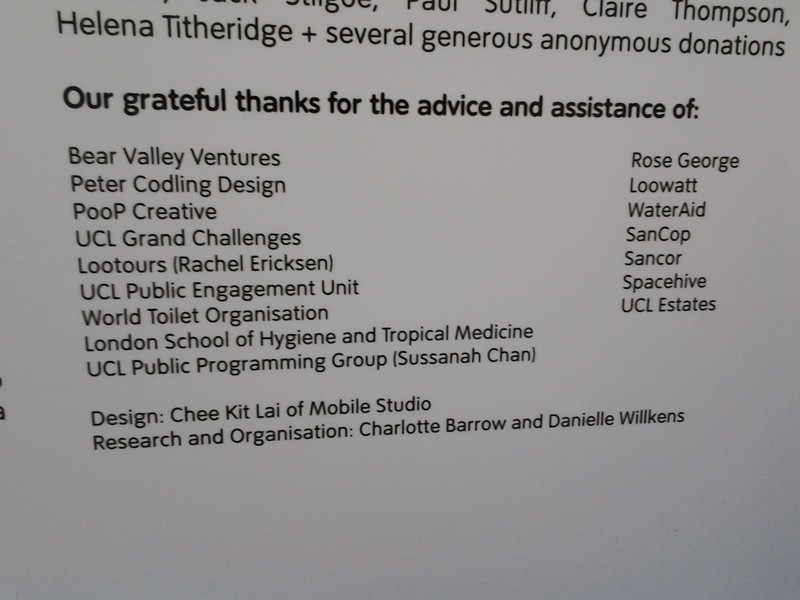 The organizers of UCLoo Festival believes is only by looking at sanitation cross-culturally and globally that we may come to consider our own “flush and forget” mentality more critically. Toilets should not be taken for granted. Far from being too unimportant to discuss, few technologies do more to create healthy, equitable, and sustainable cities. So the festival is a celebration and exploration of alternatives not only for philanthropic international purposes, but for all of us here and now. 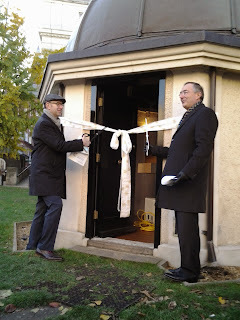 No less a man than the Provost himself was present to cut the (loo paper) ribbon on the door. He too had a few words to say about the loo. 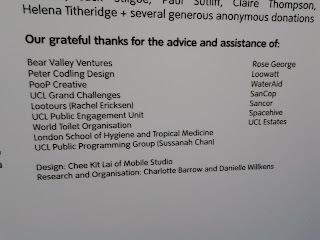 He reminded us of the heritage of UCL, and it's long and noble connection with sanitary affairs. The college first opened its doors in 1828. It's mission was ambitious. At a time when most other capitol cities boasted prestigious Universities London was lacking one. The only other major institutions in the UK were Oxford and Cambridge, and both were quite elite and exclusive. Jeremy Bentham, who is considered to be the spiritual father of UCL (though he had no direct involvement with its creation) described them as "the two great public nusciences" and "storehouses and nurseries of political corruption." UCL was to be open to all, regardless of background (though the £2-£5 course fees still made it un affordable to the working class.) Religion would not be taught, nor would religious affiliation be required for entry. Critics of the college christened it "the radical infidel college" and "the Godless institution of Gower Street." The college stuck steadfastly to its principals of reason and science. Among the distinguished faculty of the college was a certain Doctor Edmund Alexander Parkes, who accepted the chair of Hygine in 1860. Parkes died in 1876 from tuberculosis. His colleagues considered the best way to honour him and came up with the idea of a sanitary museum that would be open to all, but was primarily to benefit working men, and, most particularly those who installed sanitary fittings. …it was determined to found a Museum for the purpose of spreading abroad the knowledge of those principles of hygiene to which Dr. Parkes had devoted the energies of his latter days. And so we joined together to found the Parkes Museum. The museum was financed by many rich patrons, including the Queen herself, and the opening night was a splendid affair at which a "large and influential" gathering of guests swept up the grand staircase to view the exhibition and listen to several speeches. The upper class had an especial interest in the idea of information for all, because, as Jenner rightly pointed out in his speech, the security of their homes relied on well informed tradesmen. We have to understand that the re-emergance of the flushing toilet was still relatively new. As architecture was developing and more and more functions from cooking to bathing to defecating were taking place within the home. This means more complex networks of pipes and the emergence of an understanding of houses as living breathing organisms with considerations of air circulation. Endless possibilities for progress, but also an increase in the potential for disaster. I happened to come home in the middle of the work (in my home), and the foreman pointed out to me that he had fixed a D - trap to a certain pipe, and I said I would not have a D - trap. He said it was a model thing. When I turned upon him, and said, " A D-trap ; I call it a double D-trap, for it will deal out disease and death." D-traps always require inspecting. The fact was that these so-called intelligent workmen were desirous of doing what was right, but were ignorant how to do it. Ignorance, said Jenner, breeds these things. Yet despite the success of the Parkes Museum, which was housed at UCL until 1892, and only closed its doors in 1971 we, as a population, are still largely ignorant about toilets. It comes back to what Barbara calls the "Flush and Forget" mentality. 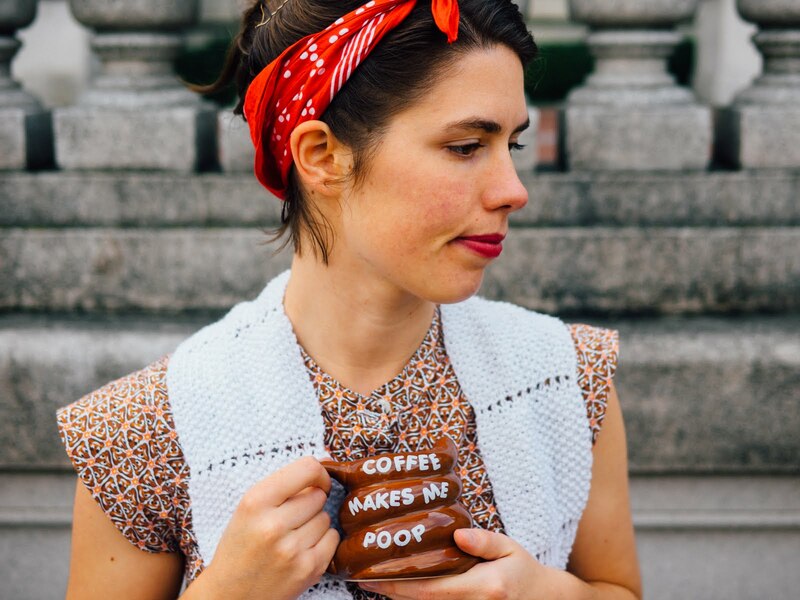 We fear unlikely things like germs on the toilet seat (if you pick up a disease from sitting on it you're doing something very wrong!) but not what happens to our waste, or how it might come back to haunt us. We flush tissues, antibiotics, tampons, condoms, goldfish, mobile phones... all of which gets treated out as best we know how, but the system is not foolproof. A flushing toilet has become so synonymous with civilization that it's hard to imagine any other way. All this ramble is really in preparation for my tour tomorrow, which will lead toileteers through the campus, discussing all this plus the challenges of catering to an international student body, Jeremy Bentham's principals of utilitarianism ("Greatest Happiness of the Greatest Number") and panopticon ("the more closely people are watched the better they will behave") ... what the latter has to do with toilets is a slightly more chilling subject for another blog post.